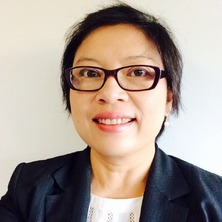 Dr Hanna Evelina Sidjabat is currently an Honorary Fellow within the Infection and Immunity Theme at the UQ Centre for Clinical Research. Dr. Sidjabat continues her probiotic research for gastrointestinal tract and upper airway. Probiotic development capable in decolonising antibiotic-resistant bacteria from gastrointestinal tract will be the emphasise of Dr. Sidjabat's current probiotic research. Dr. Sidjabat was the lead microbiologist of Professor Anders Cervin in research into upper respiratory tract microbiome and Australian Indigenous children with otitis media (Jan 2015 - Jul 2017). Dr Sidjabat continues her work in probiotic development for clinical trial in chronic rhinosinusitis patients of Prof. Anders Cervin as a collaborator. Dr Sidjabat is a recognised expert in Australia in the area of molecular microbiology with over 13 years of experience working with antibiotic resistant Gram-negative bacteria. She was in charge of Prof. David L. Paterson's laboratory for 6.5 years at the University of Queensland Centre for Clinical Research. Prior to that, she was working at the Division of Infectious Diseases, University of Pittsburgh, Pennsylvania, USA under the supervision of A/Prof. Yohei Doi for 1.5 years. She has worked collaboratively with many leading microbiology laboratories nationally and internationally. Dr. Sidjabat completed her Bachelor of Veterinary Science and Doctor of Veterinary Medicine (BVSc and DVM) from the Gadjah Mada University, Indonesia and proceeded to complete her post graduate diploma in food-borne pathogens, Masters in Verocytotoxin-producing Escherichia coli and PhD in antibiotic resistance bacteria of companion animals at the School of Veterinary Science, University of Queensland, Australia. She is currently completing her Graduate Certificate for Higher Education at the University of Queensland. In parallel with her research career, she has been passionate about teaching. She lectured full-time in Microbiology and Immunology for medical and nursing students between 2001 and 2003 in Indonesia. In 2014 she was a guest lecturer in Microbiology at the Sunshine Coast University and at various universities in South East Asia. To date, she has published 76 peer-reviewed articles. Dr. Sidjabat has been the proud recipient of travel awards from the Australian Society for Antimicrobials 2011, 2013 and 2014. She also received Shimadzu UQCCR Research Excellence Travel Award in 2012. Following the completion of her PhD in 2007 she has supervised and mentored 34 PhD students, Postdoctoral Research Fellows, Masters students, Honors students, Microbiology registrars, local and international Infectious Diseases visiting academics and other young physicians and junior scientists who are keen to explore research. ◾Molecular epidemiology and molecular characterisation of antibiotic resistant bacteria ◾Bacterial Whole-Genome sequencing and bacterial proteome ◾Microbiology and microbiome of upper respiratory tract ◾Probiotic discovery and development. Key Words: Antimicrobial or Antibiotic resistance, Gram-negative bacteria, mass spectrometry (liquid chromatography MS and MALDI-TOF MS), whole genome sequencing, molecular epidemiology, microbiology of upper respiratory tract, microbiome, otitis media, probiotics, bacterial interference. Current Research Projects: 1. Understanding the transmission of carbapenemase-producing Enterobacteriaceae by whole genome sequencing. 2. The role of bacterial, fungal and viral sinus microbiome in chronic rhinosinusitis patients. 3. General Practitioners Antimicrobial Stewardship Programme Study (GAPS) - (website: www.gaps.uq.edu.au). 4. An integrated approach to combat antibiotic resistance (NHMRC Project Grant). 5. Characterisation of bacterial pathogens and commensals of otitis prone and non-otitis prone Australian Indigenous children - A&TSI BIOME Study: Aboriginal and Torres Strait Islander Bacterial Interference in Otitis Media, Explorative study. Difficulties to treat infections by superbugs are threatening worldwide including in Australia, which often left no option for antibiotics. I generated a great understanding of the prevalence of Gram-negative superbugs in Queensland since my first research at the University of Queensland in 2009. I developed in-house phenotypic and molecular tests for superbugs and encouraged screening of superbugs on patients traveling from high-prevalence countries. My research on superbugs has impacted the policy changes for superbug detection in key diagnostic laboratories. My research has been used in Australian recommendation, Australian Pesticide & Veterinary guideline, European guideline, Spanish guideline and recommendation for mycobacterium screening in cystic fibrosis patients in France and in Saudi Arabia. I am a highly prolific writer with 72 articles were published in the past 10-yrs. My publications are international (55.6%), national (33.3%), institutional (11.1%) collaborations. Nearly all of my publications have been cited (97.2%) with 2117 citations, average of 29.4 citations per article and increasing citation trajectory since 2009. 3 articles are in the top 1 citation percentile. 43.1% (31 articles) are in the top 10% citation percentile. 80% of my publications are published in the top 25 Journal Percentiles (SciVal). Publications in the top 10% of journals are 51% (36 articles). The top three countries who cited, i.e 465, 294 and 188 citations were from USA, Australia and China, respectively. My publications have contributed significantly to the medicine (48.3%), pharmacology (20.8%) and immunology and microbiology (11.7%) (Scopus). My collaborative work with UK and Pakistan showed 1 in 5 people in high-risk countries are colonised with these superbugs. My research has helped to protect Australia from the invasion of superbugs. Prior to our research on superbugs in the early 2010s, no molecular understanding and prevalence data of superbugs available in Queensland. Prior to our research program on microbiota characterisation and probiotic development in 2015; antibiotics have been the primary options for treatment of infections. Limited antibiotic options for infections by superbugs has progressed alternative to antibiotic treatments by using probiotics as a better option for infection prevention. Furthermore, advanced scientific understanding of microbiome has provided opportunities for biotherapy approach, especially through bacteriotherapy or probiotic application to gain better scientific and clinical evidence to prevent infection.My rigorous research in superbugs and probiotics has allowed me to supervise and/or mentor PhD students, Infectious Diseases Registrars, Masters students, Honours students, junior researchers and high school students in research. I have successfully supervised four PhD graduates. Two PhD graduates have been established their research groups. Two other graduates have gained Postdoctoral Researcher positions in top universities. I have supervised 6 Honours students (5 First Class), 5 Masters students (1 Dean's Commendation) and 5 Microbiology and/or Infectious Diseases Registrars in designing their research projects, writing up their research reports and publications. The genetic analysis of Enterobacteriaceae plasmids to provide insights into the acquisition and spread of the blaNDM gene. Paterson, David L., Sidjabat, Hanna E. and Doi, Yohei (2010). Global spread of multidrug-resistant gram-negative bacilli. In W. Michael Scheld, M. Lindsay Grayson and James M. Hughes (Ed. ), Emerging infections 9 (pp. 213-222) Washington, United States: ASM Press. Interspecies spread of klebsiella pneumoniae carbapenemase gene in a single patient. Sidjabat, H. E, Silvey, A., Yam, W. K., Rogers, B. A., Walsh, T., Vohra, R., Perera, S., Anderson, T. and Paterson, D. L. (2011). Features of plasmids carrying blaNDM-1 and blaNDM-3 in Australia. In: 51st ICAAC: 51st Interscience Conference on Antimicrobial Agents and Chemotherapy, Chicago, IL, U.S.A., (). 17-20 September 2011. Rogers, B.A, Kennedy, K., Sidjabat, H. E., Collignon, P. and Paterson, D. L. (2011). Prolonged gastrointestinal carriage of antimicrobial-resistant Escherichia coli in international travellers. In: 202-Global Health and Parasitology and Travel Medicine. 51st Interscience Conference on Antimicrobial Agents and Chemotherapy, Chicago, IL, United States, (). 17 - 20 September 2011. Rogers BA, Silvey A, Sidjabat HE, Perera S, Yam WK and Paterson DL (2011). Travelling with Friends: NDM-1 and other resistance genes. In: Proffered Papers 2: Multi Resistant Organisms. Australasian Society for Infectious Diseases, Annual Scientific Meeting 2011, Lorne VIC, Australia, (). 30/3-2/4/2011. Moss, S. M., Gibson, J. S., Cobbold, R. N., Sidjabat, H. E., Wetzstein, H. G. and Trott, D. J. (2008). Plasmid-mediated fluoroquinolone resistance genes identified in multidrug-resistant "Enterobacter" spp. isolated from opportunistic infections in dogs. In: Abstracts of the 48th Interscience.Conference on Antimicrobial Agents and Chemotherapy-Infectious Diseases Society of America 46th Annual Meeting. 48th Annual ICAAC/IDSA 46th Annual Meeting, Washington D. C., USA, (). 25-28 October 2008. Antimicrobial resistance in animals and its impact to public health: are we barking up the wrong tree? Trott, D J, Sidjabat, H. E., Chin, J, Jordan, D., Chapman, T. A. and Wu, K. (2006). Antimicrobial resistance in animals and its impact to public health: are we barking up the wrong tree?. In: Janette Sofronidis, ASM 2006. 2006 Annual Scientific Meeting & Exhibition ASM, Gold Coast, (96-97). 2-6 July 2006. Sidjabat, H. E., Hanson, N.D., Townsend, K. M., Bensink, J. C. and Trott, D J (2006). Identification of plasmid-mediated resistance genes in multidrug-resistant E. coli and E. cloacae isolated from dogs with extra-intestinal opportunistic infections. In: Janette Sofronidis, ASM 2006. 2006 Annual Scientific Meeting & Exhibition ASM, Gold Coast, (121-121). 2-6 July 2006. Gibson, J., Sidjabat, H. E., Morton, J. M., Filippich, L. J., Moss, S. M. and Trott, D. J. (2006). Resistance profiles of multi-drug resistant Enterobacteriaeceae causing extraintestinal opportunistic infections in dogs. In: ASM 2006. 2006 Annual Scientific Meeting and Exhibition ASM, Gold Coast, (142-142). 2-6 July, 2006. Sidjabat, H. E., Lorentzen, M., Gobius, K., Fegan, N., Chin, J.C., Bettleheim, K, Hanson, N.D., Townsend, K. M., Bensink, J. C. and Trott, D. J. (2005). Characterizaton of multidrug-resistant E. coli isolated from a Veterinary Teaching Hospital in Australia. In: First conference on New Frontiers in Microbiology and Infection. First Conference on New Frontiers in Microbiology & Infection, Villars-sur-Ollon, Switzerland, (40-40). 4-8 September, 2005. Gibson, J., Sidjabat, H. E., Morton, J. M., Filippich, L. J., Moss, S. M. and Trott, D. J. (2005). Resistance profiles of multi-drug resistant Enterobacteriaceae causing extraintestinal opportunistic infections in dogs. In: Research Conference Proceedings 2005. Showcasing Faculty research through our postgraduates, Gatton, Queensland, (48-48). 8 December 2005. Sidjabat, H. E., Jones, A., Bettelheim, K. A., Bensink, J.C., Chin, J. and Trott, D. J. (2004). A mouse model to study gut colonization of multi-drug resistant Escherichia coli. In: Showcasing Faculty Research through our postgraduates. Research Conference Proceedings 2004, Gatton, (66-66). 5th November 2004. Sidjabat, H. E., Townsend, K. M., Bensink, J. C., Gobius, K. and Trott, D. J. (2003). Canine multi-drug resistant Escherichia coli plasmids. In: MicroNZ 2003. 2003 Microbiology - Art in Science, New Zealand, (100-100). 28 September - 2 October 2003. Antimicrobial Resistance Mechanisms in Canine Multidrug-Resistant Escherichia coli and Enterobacter spp. Sidjabat, Hanna (2007). Antimicrobial Resistance Mechanisms in Canine Multidrug-Resistant Escherichia coli and Enterobacter spp. PhD Thesis, School of Veterinary Science, University of Queensland.